Clean. Pristine. Divine. A white dove. Brides, babies and the sacred. It is innocence in it’s essence and a key player in today’s modern interiors. But white is not simply white. Layered with tonal possibilities, white represent tabula rasa – a blank slate – all that is possible. Perhaps, most importantly, a clearing in the thicket of our lives. The promise of rest. Sir Isaac Newton discovered that natural white light contains all colours – we simply can’t see them being reflected. Contrary to the misnomer of a pure white, true whites are rarely found in nature. In fact, part of the beauty of using white is how white can be layered on other iterations of itself for a beautiful designed environment. street after a fresh snowfall. Silence. Reprieve. White embraces black as an anchor. metallics, we invite you to reflect. With the arrival of Fall, we are anxious to get in step – design-wise – so that our habitats reflect the season. As tans fade, more rustic hues replace pastels and brights, our thoughts turn to pumpkin spice lattes, fireplaces and football. Unfortunately, our interiors often become an ode to the State Fair of Texas in October. If not incorporated (or eliminated!) rusts, forest greens, and yellows tend to make an interior feel dated. It’s time we explore how to put a new spin on an aging theme so we can turn out rooms with real impact. Let’s consider how red is our friend. To begin, understand red. Unless you are a hospitality designer doing restaurants or casinos, red is best used as an accent color. It can be integrated in everything from lighting and candles to pillows and walls. An accent of red draws attention to other things you might not even notice in the room and given the installation less is often more. 1) Contemporary – Contemporary design incorporates neutral elements with pops of bold color, often red. Try bright red shades in a pillow, rug or throw. 2) Modern – From primary hues to classic shades with burgundy or brown undertones, any red you love will make a statement. Consider injecting red through a painting or piece of art. 3) Traditional – This design style shies away from primary reds and instead tries a red with burgundy or black tones. Oriental rugs with deep, rich reds are a great example. 5) Country – Reds in this design scheme are chalkier and softer: Think barn or scarlet reds. Choose reds with pinkish and purplish hues, like the color of a ripening apple. Again, you can keep this scheme more up to date by not overdoing the red but accessorizing with country reds in knickknacks and fabrics. Long story short, you can be excited about warming up your design scheme as long as you take the preceding hints to heart. Use red but consider your space. Integrate it with new and novel colors besides the traditionals to make your space feel new and fresh. Forego the warning and scarecrows will start asking if you are renting rooms! If you choose to go bold, make sure your space can handle it. High ceilings, a muted wall color and lots of natural light help tone down a too bold hue and promise to turn your space into a design touchdown! Patterns bring an exciting element into any interior. Combining prints and patterns really makes things come alive, but overdoing it can give your entrants quite the headache. At Luxe Surfaces, we give you expert tips on mixing and matching patterns the right way. If you don’t know where to start, look for things that inspire you. Begin with a simple color you really like, a fabric you’ve found, an item of clothing you love, or simply take in the wonders of the outside world – then go from there. When experimenting with more than three patterns, don’t get ahead of yourself. Choose one bold pattern you like and find others that complement it. Your patterns should vary in scale from large to small. You want to tie in patterns that have the same color hue and intensity – so don’t use pastels with primary colors, etc. You can always use solids as a neutral when you need a filler. Keep in mind that the texture and feel of certain patterns plays an important role in the way your prints mix. Try to keep textures similar if you’re using a variety of patterns. Remember, you have a large amount of space to work with. You don’t want to put all your patterned piece in one spot because it will create an unbalance that will throw off your guests. Distribute your patterns throughout the room to create a sense of space and balance. Luxe Surfaces has tons of patterned wall coverings that mix and match like no other. Don’t know where to start? Let us do the work for you – we can help create companion patterns that complement each other beautifully. Luxe Surfaces is officially on Instagram! 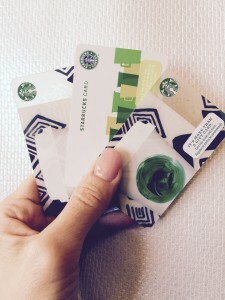 To celebrate, we are giving away 5 Starbucks gift cards up to $50 in value. Head on over to our Instagram page (@Luxe_Surfaces) to enter for your chance to win! People often associate the color grey with what we refer to as the three D’s: dreary, drab, depression. It tends to have a negative perception because it has no real color personality of its own. However, grey can completely and magically transform a room when used correctly. With the right combination of colors and textures, grey interiors can be soothing and cooling, creating a relaxing environment that evokes a sense of certainty and safety. Plan. Before you start grabbing grey accents or picking out grey wall colors, it’s best to plan out the mood you wish to create. The color grey can have a warm (red, yellow, orange) or cool (green, blue, purple) undertone. The different temperatures of the color evoke different emotions, so decide how you want the essence of your room to feel. Bring in tons of light. Grey is the color of shadow, so you don’t want to unknowingly bring in more. Introducing a bunch of different layered light sources will automatically brighten up the color and create dimension. Use table lamps, floor lamps, sconces, and natural light to complete a grey interior. Pair with purple. One of our favorite color combinations is grey and purple. This duo creates an edgy feel while still holding on to classy elegance. Try accenting grey walls with purple pillows or pull in with details in the rug and decor. So, next time you gravitate towards black or white, consider mixing things up and designing with grey. 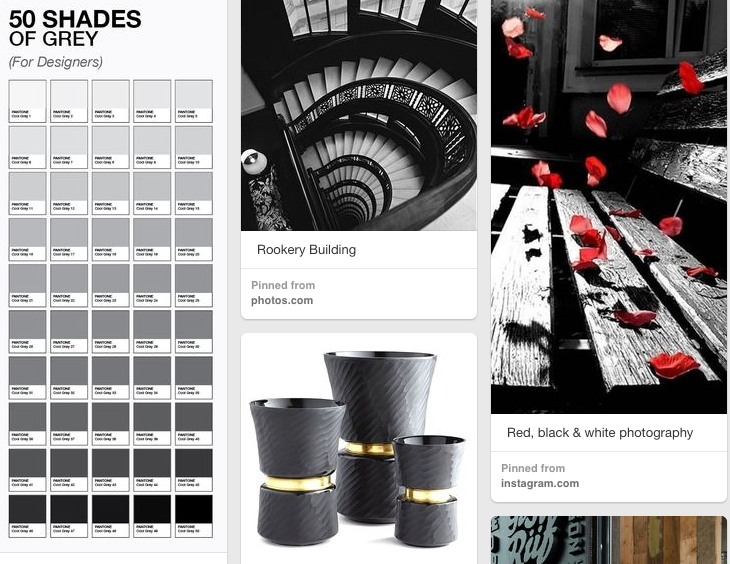 For more ideas and inspiration, check out our 50 Shades of Grey Pinterest board! If you’re an apartment dweller or don’t have a lot of space or time for a garden, but you love the appeal of “green” – then a terrarium is your answer. And with the resurgence in popularity of the mid-century modern aesthetic, this is a great time to get in on this fun hobby. 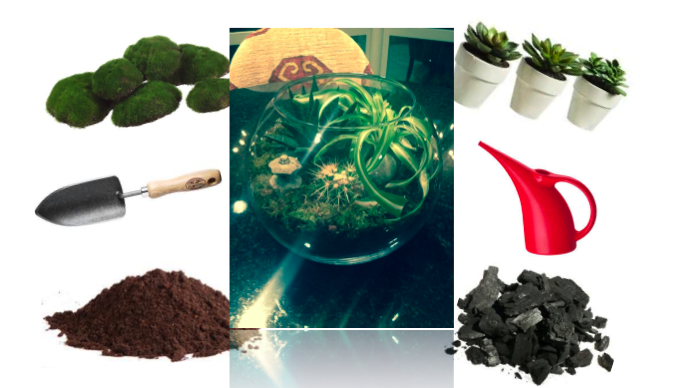 Easy and manageable, terrarium gardening allows you to express your unique creativity. From vases to pebble colour, sand vs. dirt – the options are endless and the results – striking. Step 1: In a clean vase, place your drainage level of pebbles 1” deep. Step 2: Place a thin layer of charcoal over the pebbles; just enough to cover. Charcoal discourages odors from bacteria and fungi forming. Step 3: Add enough soil to allow the roots of the plants to grow. A depth slightly deeper that the height of the plant’s original pot is a good starting point. Note your plant type and what type of soil best suits it’s variety. Step 6: Use your shovel or ﬁngers to dig a well where you want your plants placed. Step 7: Prep your plants by gently shaking off excess soil and trimming long roots (they’ll grow back!). Step 8: Plant your plants in the wells you made and add more soil; gently pressing it around the base of the plants. Step 9: If you like, add some moss or a few stones and ornament to make this your own special garden. Step 10: Spritz your garden to get it started. Do not overwater! Tidy up the glass so this tiny world of green SHINES! Most terrariums prefer a warm spot with indirect access to sunlight. As industry leaders in innovative wallcoverings, color is a constant in Luxe Surfaces‘ operating world. Interior Designers and artists alike use colors to evoke emotions or redefine a space, but color can tell us so much more about ourselves than we think. If you’re one of the many who is avidly checking the latest horoscope or you’ve expressed an interest in the world of astrology, you’ll find the concept of colorstrology quite fascinating. The idea of colorstrology was created by avid healer, astrologer, and metaphysician, Michele Bernhardt. Bernhardt explores the healing aspects of color and sound. Colorstrology combines astrology, numerology, and color theory to create this interesting new phenomenon that sheds insight about our lives and relationships. 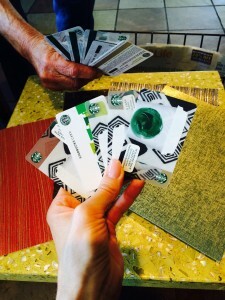 A different, distinctive color is designated to each day of the year, giving us each a specific “birthday color”. Our birthday colors tell us much about ourselves – how we behave, who we are, how to define the relationships in our lives. Colorstrology goes beyond listing adjective after adjective to relay personality traits. It delves deep into inner energies, exploring ways to reach our highest potential as individuals. By aligning birthday colors with certain energies, we can better identify ways our inner strengths – and accompanying colour – positively influence our designed spaces. We love the concept of defining and bettering ourselves and environs through the power of color. 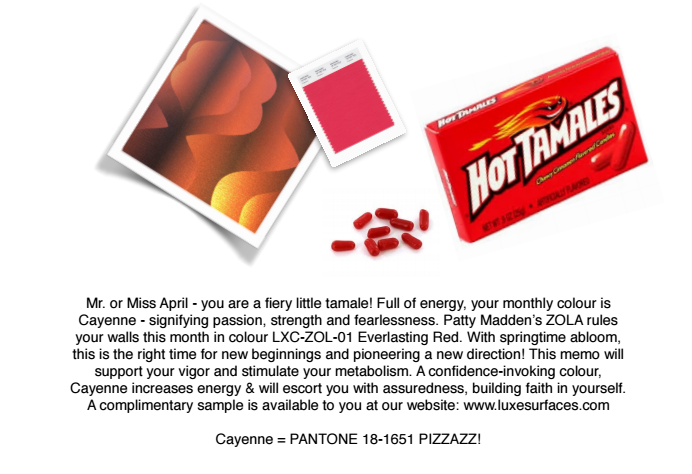 So much so, that we at Luxe Surfaces have developed our own Colourstrology Campaign. Beginning April 1st, we will launch our daily color campaign that correlates with author Michele Bernhardt’s pantone color of the day providing info on it’s significance in both your life and design. Luxe Surfaces will offer you a complimentary sample of a pattern that matches your birthday colour. Dallas, TX, March 10, 2015 – LUXE SURFACES (http://luxesurfaces.com), progenitor of the Patty Madden Wallcovering brand, announced today changes to it’s executive level. Effective immediately, Lester Blumenthal, design industry veteran and former owner of Blumenthal Alternative Wallcovering (purchased by Steelcase), will assume the role of Vice President of Marketing for Luxe Surfaces, the innovative wallcovering resource for design professionals. Lester will work alongside Chief Executive Office, Mike Leon, in the development of ground-breaking new product and brand marketing initiatives. Joie Tamkin Roberts will work with Blumenthal as Luxe Surfaces Social Media Consultant to both clarify and promote the company’s online identity and impact. Blumenthal and his brother took over the Blumenthal Alternative Wallcovering business from their parents in 1993. Desiring to expand the wallcovering field, moving past the traditional vinyl materials, the brothers Blumenthal searched for materials made from renewable resources that also allowed for high-quality printing. Luxe Surfaces is growing and strengthening their online presence and rebranding the overall company offerings. The release of the most comprehensive collection to date, The Patty Madden Cache, is due out in two short weeks. As an essential design authority on all things wallcovering, Luxe Surfaces is working hard to promote creative industry leadership, innovation and collaboration across a wide range of platforms and product. The most groundbreaking wallcovering resource to be introduced – EVER – Patty Madden Cache reveals change on so many levels! 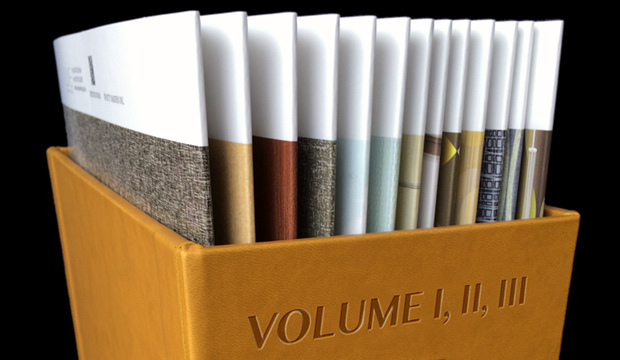 From it’s substrates to it’s fabrication – and even it’s box – every element has been thoughtfully vetted to showcase the evolution of the Luxe Surfaces brand and product line. 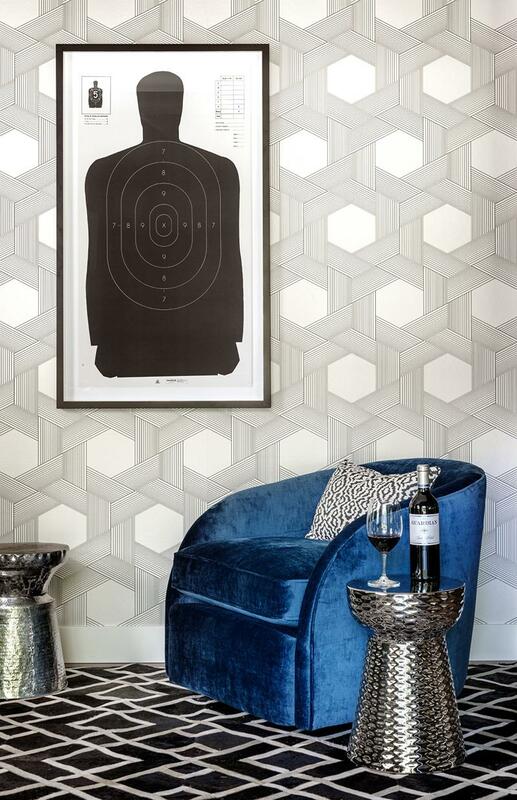 CEO of Luxe Surfaces, Mike Leon, notes, “Our intent was to build a total resource wallcovering box for the designer – offering them a one-stop project solution for all things “wall decor.” And, by Golly – they’ve done it! 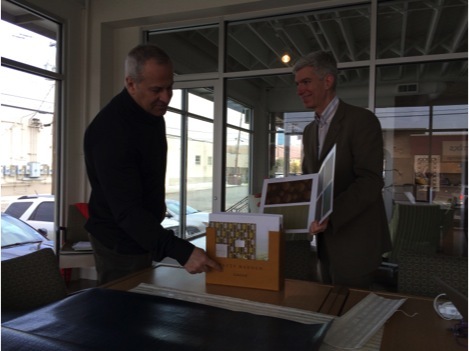 So what does it mean to offer a “one-stop” wallcovering solution? To begin, Luxe Surfaces moved from a binder to an open “window” box, displaying digital swatches in large format tip cards – with both scale shots and installation images included – an exhibition that is simultaneously eye-catching and beautifully utilitarian. A QR spec-data link is now printed on the back of each card and aligns with Luxe Surfaces’ focus on keeping pace with the digital world. A quick scan and the designer has full architectural submission information at their fingertips. Every pattern, every colourway, has been designed to work uniquely with the another. 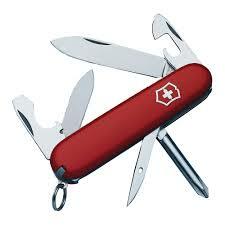 Every thought has been given to making the designer’s job easier; friction free. And that’s to say nothing about the box contents! Imaginative, intuitive, definitely clever and perhaps even a little unorthodox – the collection’s designer – Patty Madden – took full advantage of the new digital medium at her fingertips. Like a kid in a crayola box, Patty is again taking the A&D community by stylistic storm. Anything but conventional, the collection’s diverse array of 13 integrated patterns, contains five digital wallcoverings, seven rota gravure designs, and one specialty wallcovering. Building on it’s rich history of proprietary embossings and patterns, Patty engages technology to create wallcoverings born of the marriage of artistry and science. The resulting collection offers unorthodox substrates, rich 3-dimensional perspective, and heady hues that that make any space genuinely unique. Following Cache’s official launch in March, the collection will continue to evolve. Throughout 2015, 15 new patterns – additions to the stylistic categories above – will be added. As their predecessors, these designs will round out what Luxe Surfaces promises to be the most useful tool “box” in the industry. 1) Interior Design Resources – (http://www.interiorsandsources.com/interior-design-resources.aspx) In addition to providing great networking sources (i.e., contact info for American Academy of Healthcare Interior Designers (AAHID) ETC! ), Interiors and Sources, has a great sub-site on their homepage that provides a synapsis of design association news feeds, all things green, and what’s trending. Get “with it” HERE! 2) Interior Design Magazine Design Wire – (http://www.interiordesign.net/newsletters/) Every week, get the information designers and architects need to see and know, including updates on industry news, new products and online exclusive features. Be a resource for your clientele! 3) Crew – (https://www.crewnetwork.org/default.aspx) Facilitating business networking and deal making among its multi-disciplinary membership are at the cornerstone of the CREW Network organization. To support its members’ business development, CREW Network provides three Leadership Summits a year in addition to the CREW Network Convention & Marketplace. Additionally, CREW Network developed CREWbiz – a business networking tool available online or via app for members only. Having a profile on CREWbiz gives members access to early 9,000 professionals across North America. This can act as a resource to cultivate business deals, hunt for career opportunities, or reach out to your peers for problem solving. 4) Contract – (http://www.contractdesign.com/contract/index.shtml) For over 50 years, Contract has been a hub of commercial design knowledge, connecting professionals, processes, products, and projects. Contract elevates the relevance and value of commercial design by focusing on its power to transform business environments. A valuable resource for the A&D community, Contract Magazine’s website regularly presents the value of these concepts, practices, and trends, demonstrating the business return of design. 5) Plinth and Chintz – (http://www.plinthandchintz.com) An online interior design blog and resource for students, new graduates, established designers and those just plain curious about interior design industry. A great site to quickly keep yourself au courant!